After you have spent time to build your Twitter Followers, you need to tweet and retweet consistently in order to keep your followers following you. However, each tweet or retweet you send is something your Twitter followers and target audience want to receive, or it is something that benefits them. You also need to create tweets and retweets that will standout. Today, we will talk about how you can write a tweet and retweet that your followers and target audience would like to see from you. If you haven’t built your followers yet, no worries, but before continuing on, you might want to refer to my tips on building your Twitter followers. After spending time on Twitter and reading other tweets, I noticed the different elements of a Twitter tweets. Message – Needs to be relevant and timely for your followers and target audience. Write like a headline. Call to Action – Tell your followers what you want them to do. In some cases, your may want your followers to retweet your tweet, and you can ask them to do so. 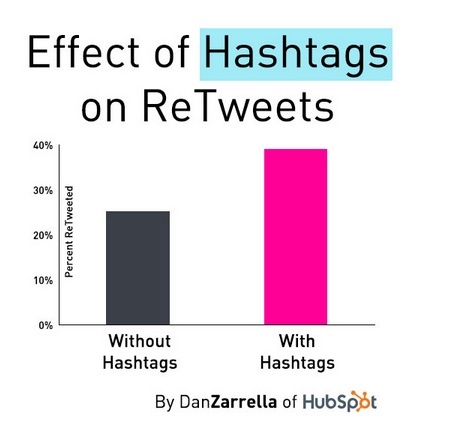 Hashtag – Limit the #Hashtags in your tweets to one or two per post. Retweet (RT) – If you retweet a message, use RT to indicate the message is retweeted. URL – (Around 20 characters) Destination your Twitter followers end up. Make sure to shorten your URL’s by going to tinyurl.com or bitly.com. Blank – (Around 20 characters) If your messages are retweeted, this is space for retweeters to add something. After familiarizing yourself with the general format of a Twitter Tweet, let’s concentrate on the Message/Call-to-Action part of a tweet or retweet. 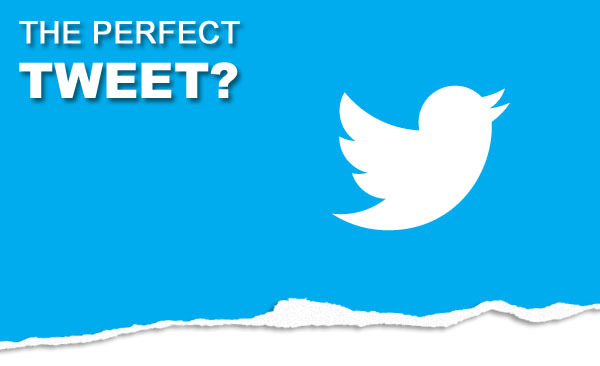 According to Gerry Moran’s How to Write the Perfect Tweet, it is possible to write the perfect tweet, but it does take practice. Moran’s article identifies that each tweet has 3 goals and must pass some questions. Amplify – You need to amplify your story with tweets. Engage – You need people to read, comment or pass the message on to others by encouraging Retweets. Convert – You need readers to complete some conversion-related activity, such as a click to visit a registration page or destination page. Is it interesting and readable? Is it interesting enough to click? 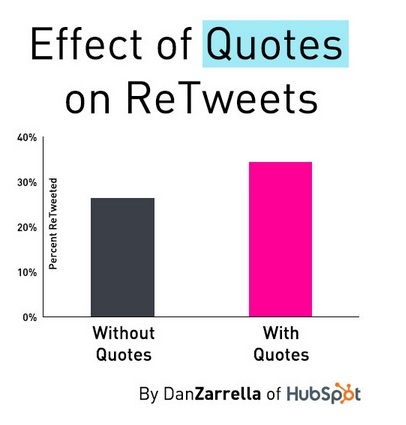 Is it compelling and built to be retweeted? Is “You” used instead of “I”? Most importantly, will your tweet benefit your Twitter followers and target audience? If you answer no to any of these questions, make the necessary tweaks until your tweet can answer yes to these question. In some cases, you may consider not sending the tweet at all. Spend some time on Twitter following your target audiences influencers and get a feel for the content your target audience is being exposed to on Twitter. Especially, take a look at your competitors and see what they are tweeting about. Think about how can you do a better job at amplifying, engaging, and converting your followers with your tweets and retweets. Next, develop the content you want to tweet about and practice writing tweets that contain all the elements, amplify, engage, and convert. Most importantly, make sure your tweet talks about something that will meet your Twitter followers/target audiences needs. Take some time to digest the information contained in today’s blog. Then, spend some time writing some tweets for your Twitter followers. Over the next couple of days, I will be attending the eMarketing Association Conference in San Francisco, CA, so you wont hear from me until later in the week. By following the advice of influencers for digital marketing and social media marketing, I have been practicing a variety of Twitter activities to grow my Twitter following. Through my experiments, I increased my Twitter followers by 328% in 2 weeks. Since my last post instead of blogging, I have been busy testing different Twitter activities to identify what works to increase my Twitter followers, and today, I am sharing share my findings with you. Before dedicating the time to building a Twitter following, I honestly didn’t understand the value of Twitter. Now, after spending some time on Twitter, I am a Twitter believer, and I see the value of including Twitter in your social media marketing mix. Twitter is a casual forum for buyers and sellers to connect. By following industry influencers, I gained access to news and resources that I hadn’t seen before. Also, I connected with fellow digital marketing managers and social media managers and discovered what they needed to help reach their goals. Follow the Influencers – They include journalists, analysts, and bloggers for your market. Thank people who follow you. 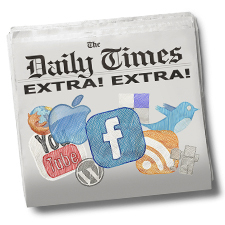 Retweet and Favorite Tweeted Content – Content you think might benefit your target audience. Tweet or Retweet Events – Inform your target marketing of upcoming webinars or events that are relevant. When Retweeting, include a Quote when Appropriate – Quotes should add value, include a call to action, or link to similar content created by you or someone else. Hashtags – Tweets with hashtags are posted on twitter streams seen by people outside of your followers. Include Hashtags in your Tweets and Retweets – When applicable include hashtags to increase the exposure of your Tweets and potential people to follow you. For Followers or People that Favorite or Retweet your Tweets – Always thank them, and if they don’t already follow you, encourage them to follow you. Ask for the Retweet – When appropriate, in your tweets, you can ask your followers to retweet your content to gain exposure of your tweet. Most importantly, Tweet Consistently – If you don’t tweet consistently, your followers will stop following you and all your hard work to build your followers will be for nothing. I experienced this one the hard way. My followers decreased when I didn’t send and tweets for a couple of days. To build your Twitter followers, you need to spend time on Twitter and consistently tweet, favorite, and retweet. Start spending 30 minutes to an hour each day on Twitter applying the tips discussed today, and you can build your followers that meet your target audience criteria. Once you reach your ideal number of followers, you need to keep tweeting to keep your followers. Consistently tweeting will keep the followers you have and help continue to increase your overall number of followers. On Monday, we discussed the advantages of listening to your target audience. Now, let’s discuss how you can go about listening to your target audience via Google Alerts and the different social media networks. By listening, your brand will be able to build relationships with your target audience, create superior content, and deliver exceptional experiences. If you missed part 1, you can still review the advantages to listening to your target audience. By paying attention to the ongoing social conversations in your industry, you can pick up on emerging trends, new customer pains, and other valuable information. Here are some ways that will help you follow your brand and industry easily. Gathering information from a multiple of sources will give you well rounded view of your brand, industry, and target audience. When you create a Google Alert, you will receive email summaries on the subject matter you specify. Google Alerts will pick up anything included in Blogs, and you should follow any blogs that appear on your Google Alerts consistently. You should also identify any RSS feeds that consistently talk about your brand, competitors, and industry. First, follow your competitor and listen for keywords or emerging trends. Second, identify and participate in any Facebook groups that impact your brand. The more people in these groups, the more it gets promoted to their friends and social networks. Next, organize different lists for different topics and influencers that you want to follow. These lists allow you to view and post to different groups or companies. Hashtags have become one of the best ways to monitor the discussion around a particular topic, trend or idea in your space. First, conduct a couple of searches on your brand, keywords, industry, and your competitors. Identify the influencers, analysts, journalists, and other knowledgeable people in your arena who appear in your searches and follow them. Monitor what your influencers say and discover who is retweeting your influencers tweets. Organize all of the people you identified into different Twitter lists. Each list should be segmented/grouped together by similarities. Twitter lists can be public or private. Consider making your influencers group public to show that you are actively collecting information from knowledgeable sources. Monitor what each group is saying. If there are any complaints, develop a customer service method on how to handle the complaints. Discover if you need to make tweaks to your services to satisfy your target audience. Search for any groups based on your brand, industry, competitors, or keywords. Next, follow your competitors to monitor the conversations happening on their company pages. Finally, pay attention to any comments that are said on your company pages. First, conduct a search on your brand, keywords, industry, and competitor and see what comes up. Similar to Twitter lists, you can create different Google+ Circles of people. Each circle can have their own personas allowing you to tailor your communication based on the personas. When you notice people talking about your brand or industry, include them in one of your circles. You can also use Google Hangouts makes to connect people in different circles. Google Hangouts gives you face time with your target audience on their terms. Back in #1, you should have started following any blogs that appeared in your Google Alerts consistently. Listen for any news about your brand. Every once in a while you may choose to make a comment to show your target audience that you are listening, and this will indicate that you care. Once you set your methods of listening, you may feel a little overwhelmed. However, you have access to an abundance of intelligence about your target audience to help you build relationships with your target audience. My suggestions is to set aside some time once a week or take 30 minutes everyday just to listen(read). Don’t comment on anything or post anything. This is time for you to just learn about what people are saying. Take notes and make a list of action items. When listening, look for consistencies and patterns. This will help you prioritize any action items you need to take. Look for potential marketing messages, or opportunities to connect with your target audience. As you listen, remember to your purpose is to build stronger relationships with your target audience, so your brand can deliver exceptional experiences. After reading today’s post, please comment on any ways you like to listen to your target audience via social media. Take Care and Happy Listening. One benefit by participating in social media is building relationships with your target audience. To build effective relationships, listening is extremely important. Just like effective relationships in our personal lives, listening is essential. I too want to build relationships with my target audience, which includes you. So I encourage you to leave a comment at the end of this blog post about building relationships or digital marketing topics you want to learn more about. Customer Opinion – Via social media, you can get unbiased opinions and learn about your target audience’s likes, wants, needs, hates, and desires. This information will help you form marketing messages and deliver your target audience’s wants. Potential Leads – Identify members of your target audience and develop methods to establish a relationship and start a two-way conversation with them. Understand your Market – You can stay up to date with your industry and learn about the factors that influence your market. Eventually, you will be able to discover emerging trends. Identify Your Influencers – On average, approximately 1% of a site’s audience generates 20% of all its traffic. By listening, you can learn about the 1%, and you can start building relationships with these influencers. Where does your Target Audience Hangout Online? – What social media networks do your target audience participate in? If you find out where they hangout online, you can start creating content for those specific social media networks. Possible Content Ideas and Formats – What kind of content does your target audience respond to? By knowing what type of content sparks action with your target audience, you know what kind of content to produce. Keywords Used by Target Audience – What are the words and phrases that your target audience uses when talking about your brand? You can also learn what keywords or phrase are use in their search queries, and this can help you form your keyword strategy saving you lots of time and analysis normally involved in keyword strategy. Target Audience Needs – How can you fulfill your target audience needs with your marketing messages and products. Brand and Products They Use – What brands do they use? what are the similarities and difference to your brand? What experiences do these brands deliver? How can you improve these experiences better? Competitors – Are your Competitors a part of your target audiences conversations? These are really good reasons to listen to your target audience. Listening can make our digital marketing jobs a little bit easier, so let’s take a look at some tips to make us superior listeners. How to become and Effective Listener? Don’t Pretend to Listen – If you want your target audience to know that you a really listening, discover what are the best methods to find your target audience and hear what they are saying. Reduce Distractions and Background Noise – Identify the barriers that prevent you from truly listening to your target audience, and remove them. Take the Time to Comprehend What Your Target Audience is Saying – Take advantage of this intel to improve your relationships with your target audience and deliver superior experiences. Respond with Superior Content – Make your target audience indicate that you understand them by delivering superior content and experiences. Over time, you will refine your listening skills, and you will learn how to take advantage of the information you gain when you listen to your target audience. In conclusion, it is worth your time to develop methods to listen to your target audience via social media. In the next social media marketing discussion, I will explore methods on how to listen to your target audience via multiple social media networks. Until then, I welcome your comments about listening or anything else about digital marketing. Social Media can be used a variety of ways, but today we will discuss social media strategies to nurture your current customers, to build relationships, and to generate repeat purchases. As Digital Marketing Managers and Social Media Marketers, delivering on revenue goals is crucial. Nurturing current customers via social media for repeat purchases will help you accomplish this task. The idea here is to keep your brand and expertise in the forefront of your customers’ minds, so when they need you, they remember to come back to you. When communicating with your customers, you need to be genuine. If you are not genuine, your customers will see through you, and you will not be successful in building relationships to help meet your revenue goals. Now, that you realize the importance of being genuine when nurturing your customers, let’s move on. Reaffirm your customer purchases after the decision is made – There is time between when the decision is made to make the purchase and the action taken to make the actual purchase. During this time, use social media to reaffirm their choice to purchase your product by featuring customers who discussed their satisfaction after purchasing from your brand. Create lead nurturing campaigns for your new customers – Just like you have created social media tactics for potential customers, you want to deploy social media tactics for your newer customers to think of you for future purchases. Invite your new customers to follow you on social media networks, welcome them to your social media communities, post helpful information on how they can reap the benefits from their purchases, and create opportunities for cross sell and up sell products. Listen to your customers social media conversations for new needs, and requirements, or potential jumps to your competitors – By following your customers in social media, you can keep tabs on your customers satisfaction with their purchases. You want to listen for cues on the timing for repeat purchases, cross sell, or up sell opportunities. You can also listen to your customers to discover ideas for more relevant content for your social media and content marketing efforts. Be active on the same social media networks where your customers are active. Look at your current lead nurturing efforts for new business and see if anything can be used to nurture new customers. Create social media posts to welcome new customers to your social media community. Without giving your customers a sales pitch, prepare social media content giving your customers an idea about repeat purchases, cross-sell, and up-sell opportunities. Listen to your customers on social media to identify cues for potential repeat purchases. Listen for potential content ideas. Come back for next week’s social media discussion about social media content ideas. The next Digital Marketer’s blog post will explore the different types of content for your content marketing efforts. Connect with your target audience in the form of social media audience. Ability to extend your reach when your social media audience shares about your brand for their social media connections to see. When you accomplish goal number 2, this is similar to creating word-of-mouth marketing. According to a Nielsen Survey, 33% of buyers believe what brands say about themselves. On the other hand, 92% of buyers believe what their peers have to say about a brand. Therefore, when your social media audience shares about your brand, their connections believe what is said. Keeping this in mind, you want to create an environment on social media where your audience like, retweet, comment, and recommend your brand. You need to provide your social media audience with compelling reasons to share your messages that is seamless. Tell your social media audience what is in it for them to like, retweet, comment on, or share their thoughts about your social media content. Given these Statistics from a New York Times Study on Social Sharing Do this to spark a response in your social media audience? Listen and Respond – Listen to what your social media audience is saying. Respond with content that meets your audience needs. This action, you will show your audience and their connection that you care. Refer-a-Friend – provide a compelling offer for your audience if they refer someone. These offers can also be extended to the friends. Social Sweepstakes – Create a content where entrants spread the word for you. Polls and Voting – Engage your audience to share their opinions through polls. Your audience votes will be seen by their connections. Flash Deals – Create a time-sensitive deals that are fun and have the potential to go viral and increase brand awareness. Since peer recommendations influence how people view a brand, you want to get your social media audience to like and to share about your brand for their social media connections to see your content. When those connections see your audience sharing about your brand, you are extending your reach. To get your social media audience to like and share about your brand, you need to post content that will motivate your social media audience to share your content with their social media connections.